Lent Madness Play-In Round at EYE! For most people, “Oklahoma” evokes images of cowboys, surreys with fringes on top, and perhaps Sooners. The Supreme Executive Committee of Lent Madness, however, are not most people. Mix in 1,000 teenagers and 100 degree weather and the SEC sees nothing but Lent! 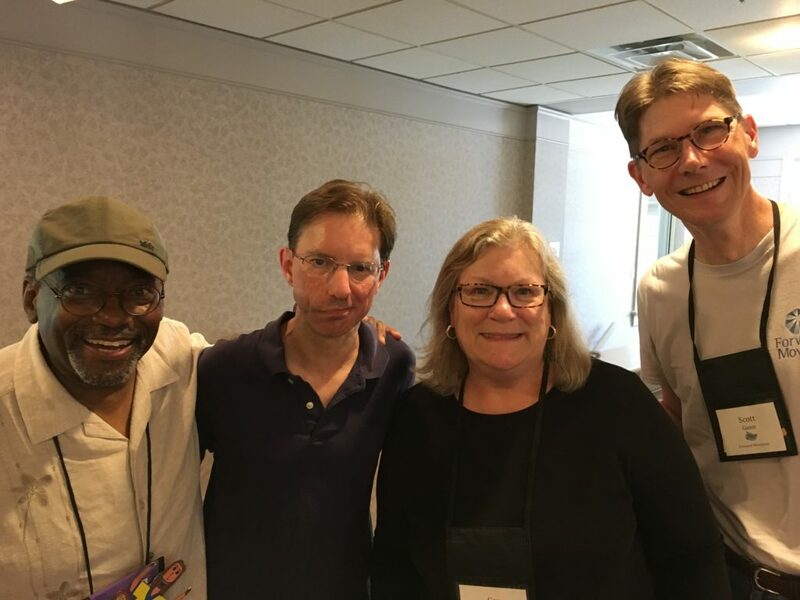 That’s right, Tim and Scott are in Oklahoma City for the Episcopal Church’s triennial Episcopal Youth Event and they are busy spreading Lenten joy wherever they go. “Oh, what a beautiful morning,” indeed. But handing out hundreds of Golden Halo Flying Discs and taking selfies with throngs of young Lent Madness fans is a mere precursor to the main event: a play-in match to determine the first saint to make it into the 2018 Lent Madness bracket. The young people here at EYE will soon be casting what will likely be the most important vote of their lives as they help shape next year’s Saintly Smackdown. On Thursday at lunch they will decide between two “badass saints” — Longinus and Quiteria. According to the Internet, these two saints are the most truly badass saints in Christian history. Who are these two saintly souls? Tim and Scott explain in a video that will be shown on the big screen to the 1,400 youth and adults here in Oklahoma. Check it out! We’ll post the results late in the day on Thursday but in the meantime, if you know any youth delegates here for EYE, go ahead and start lobbying them. THEIR vote is what counts! And then stay tuned for the release of the full Lent Madness 2018 bracket on All Brackets’ Day, November 3rd. Meanwhile, the Presiding Bishop and the President of the House of Deputies were seen with the Supreme Executive Committee. Perhaps the supremes wanted to learn about transparent governance? Or perhaps the presidings were getting tips on supremity? Time will tell. 16 Comments to "Lent Madness Play-In Round at EYE!" I await the results with bated breath! Or, baited breath as the case may be. Just when Ordinary Time was becoming kind of…ordinary…visions of Lent Madness come along to stir up my soul. Thank you Tim and Scott. So stealing the list of badass saints for senior high Music and Drama Camp at ShrineMont next week. 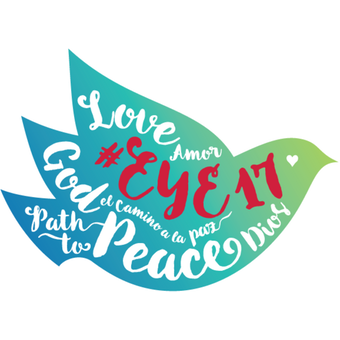 Tim and Scott, Thank you for instilling the fun of Lent Madness into the activities at EYE. I just wanted to let you know that a couple of weeks ago, Cindy and I were at Chapman Center in Homestead , FL, feeding the homeless folks taking shelter there. While we were engaged in this ministry Cindy noticed three kittens playing in the bushes. While they were bravely exhibiting the exuberance of youth, it was clear that they needed help to survive. We took them home with us (Cindy had to) and with good food, love, and some Vet care, they are doing well. Their names are Francis, Clare, and Brigid. Lent Madness indeed! Love this! And thank you for your ministry — so inspiring. Mike-Bless you and Cindy. May Francis, Clare, and Brigid bring you hours of joy, peace, and happiness. Happy Lent! As kittens, there won’t be peace for a while. Thanks. Bless you too. We are actually hoping that, after the trio have completed all their Vet ptrotocals, they will be adopted by members of our St. Thomas Episcopal Parish. I wanted to be sure you know about St. Rose Philippine Duchesne. She is French by birth but an American Saint from the State of Missouri: The Show-Me-State. Thanks for the mid-summer treat of a Lent Madness 2018 update! Stay cool and Happy Sumner. So glad to know that there will be so many capable hands ready to take up the Lent Madness mantle in the future! Sounds as though you are training them well! Let’s put every saint on the “Badass” list in next spring’s brackets (unless, of course, they have already had a chance to win the Golden Halo)! What fun! Wish I could be there too. Yea for the Saints!